Not Enough Time in the Season? 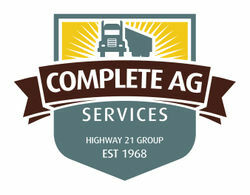 Take Advantage of Complete Ag's Custom Agricultural Services! Everything in agriculture starts with working the ground. We take the same 'ground up' approach in our farming and ranching operations. From baling, to hauling, to custom silage we can provide the quality equipment and resources to help you keep your operational goals on track! Check out our Custom Feeding and Farming Divisions!